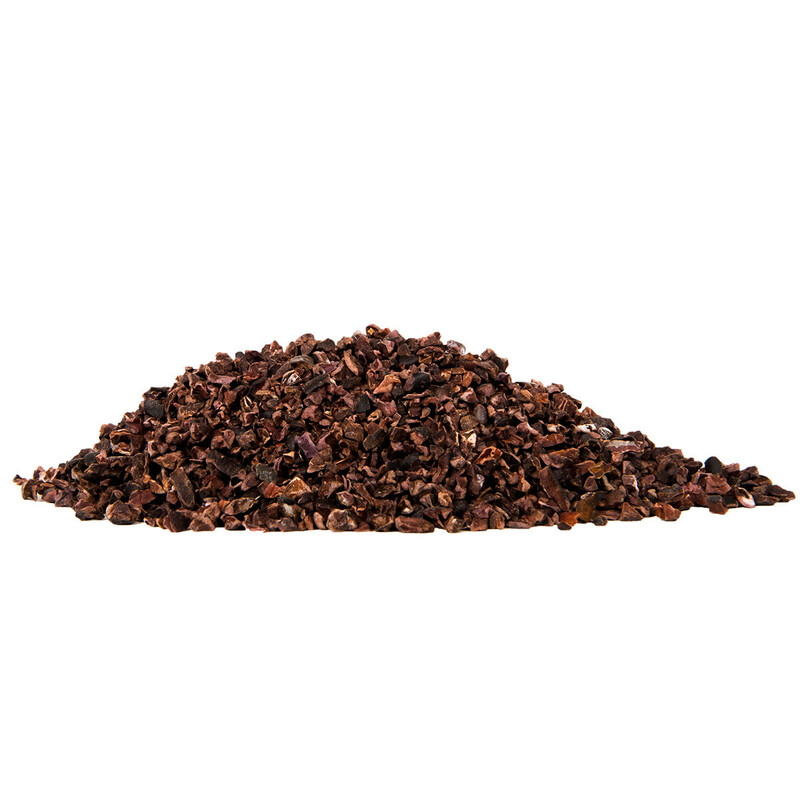 Organic and delicious cacao nibs. A delicious antioxidant, full of chocolate flavour with no guilt. 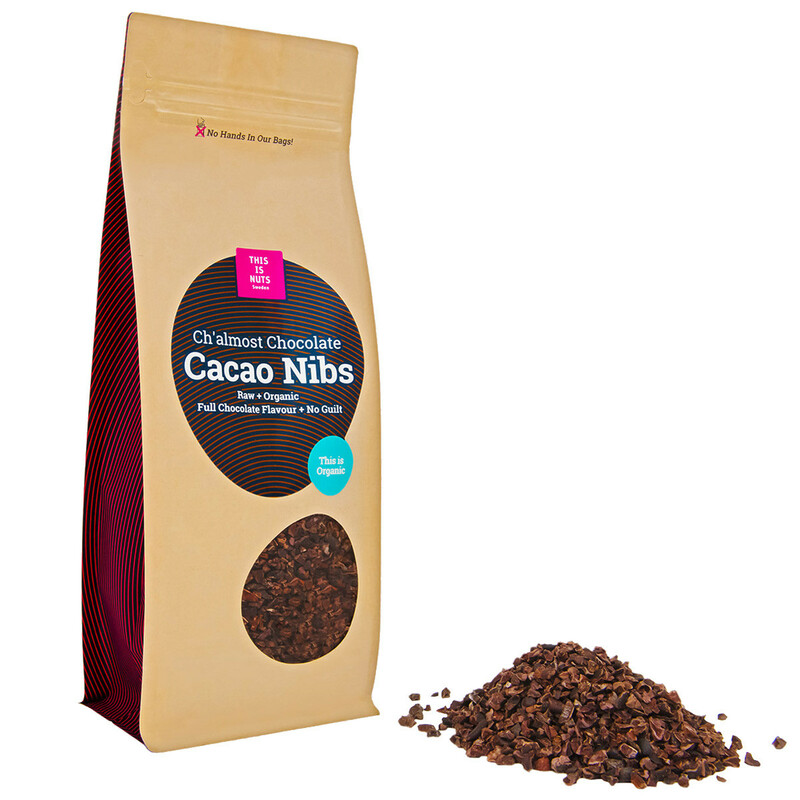 Our Ch’almost Chocolate Cacao Nibs are almost like chocolate, just in Nature’s original form. The Aztecs called chocolate “Food for the Gods”, and we agree. 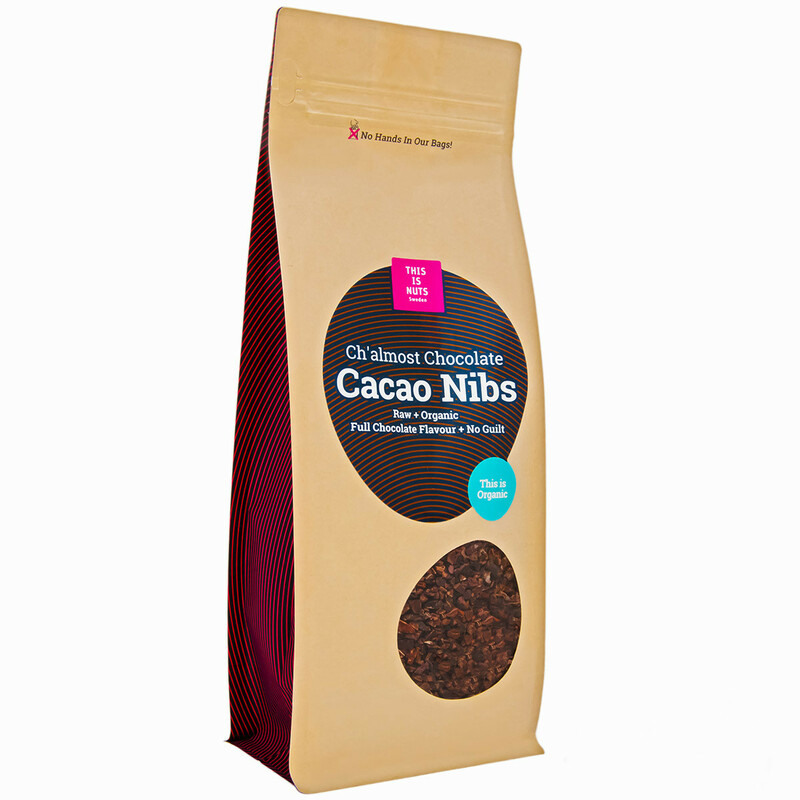 Heavenly rich and chocolatey, our organic cacao nibs are not just delicious they are high in fibre, and oh so tasty. All products are sorted and packaged in Sweden. Specialty packaging is resealable to keep produce fresh. 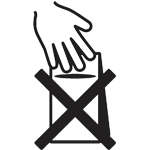 Our products are of the highest quality and from the first selection. Organic cacao beans, no additives. May contain traces of peanuts, treenuts och sesame seeds. 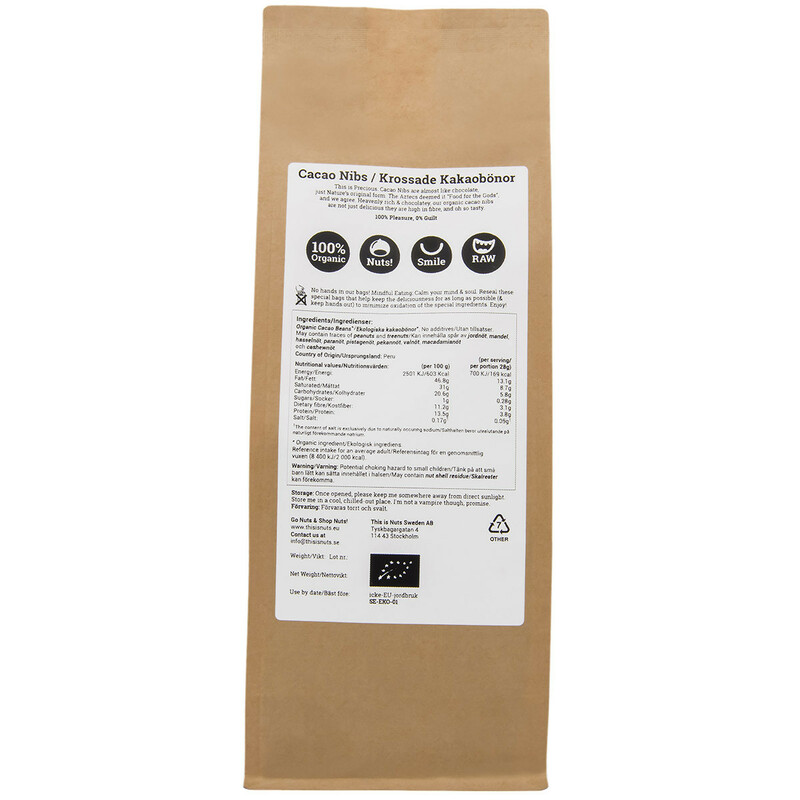 Stillness of the mind and calmness of the soul can continue, as our products are 100% pure which means that no hands have touched the contents of this bag until your own. Following Swedish attention to detail and practical design, reseal this bag in order to retain the same heights of pleasure that you had upon first opening.